The Isle of Anglesey lies in the Irish Sea, off the Northern coast of mainland Wales. 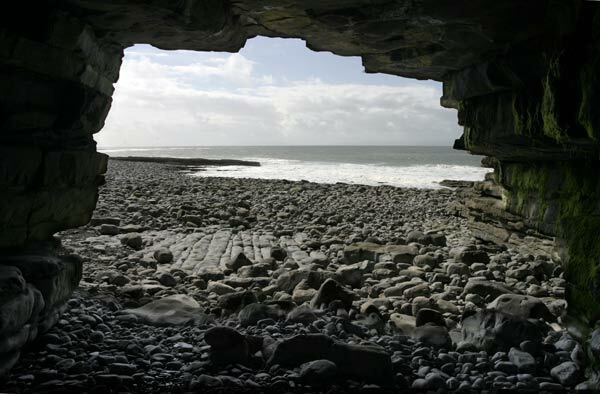 Its rocky coastline offers fine sea routes, West to Dublin, East to Liverpool, and North to the Isle of Man, Belfast, and Glasgow. Beginning in the 12th century, ships by the thousands sailed the Irish sea, but few made Anglesey a Port of Call. Yet many stopped there just the same. 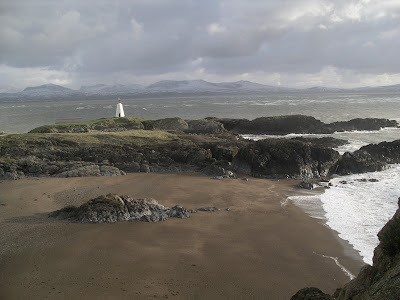 The Coastline of The Isle of Anglesey. High winds, rogue waves, and the deadly crags of the flinty shore sent many a sailor to his death along the island's "Shipwreck Coast." But one man's tragedy was another's pleasure, for sinking ships meant also sunken treasure. 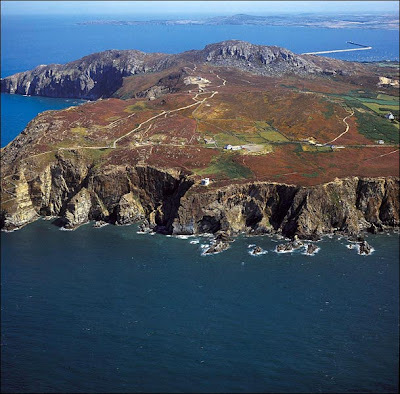 Brigands and buccaneers made Anglesey the center of "The Golden Age of Piracy," and by the 17th century it was said half the world's pirates had Welsh blood in their veins. These ruthless raiders of the high seas now lie full fathom five, but the island village of Rhosneiger is hoping the legend of its pirate queen, Madam Wen, can somehow keep the town library from drowning in a sea of red ink. The romantic tale of a Squire's demure wife turned cutthroat corsair has been a part of Anglesey folklore for at least 300 years. 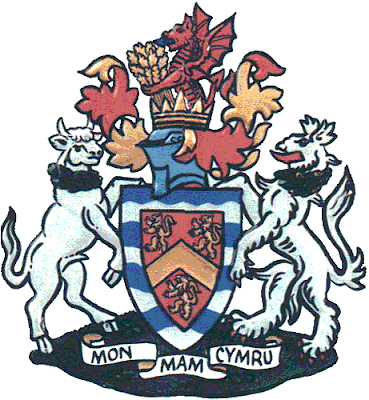 It was finally recorded in written form in 1914, appearing as a serial in the weekly Welsh language newspaper, Y Genedl Gymreig. This stirring tale of a wicked wench and her bloody band of ruffians was written by W.D. Owen, a gentle local schoolmaster, whose sister was the longtime housekeeper for Florence Nightingale. Owen finally published his story in book form in 1925, just two weeks before his death from tuberculosis at age 51. The story was framed as the text of Madam Wen's long missing diary, recovered by the author from the cave hiding her pirate band's stolen treasure. An Aerial View Of A Pirate Haven, The Isle of Anglesey. Mandi Abrahams, a member of the Friends of the Rhosneigr Library, lives in a home once owned by W.D. 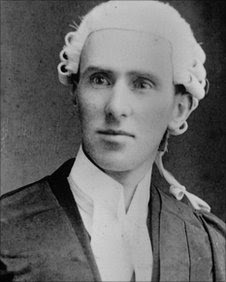 Owen. Owen built a second home in Anglesey the same year he published Madam Wen, recording in his own diary the progress of its construction day by day. As his house rose, Owen's health fell, and one his of last diary entries reads: "A lovely day and I feel rotten." Owen's story faded into obscurity outside of Wales until 2009, when an avid chronicler of Rhosneigr history, Tim Hale, finally published an English translation of the tale Welsh children had enjoyed for generations. It appears in a volume entitled The Rhosneiger Romanticist, which also features a biography of W.D. Owen and another of his previously untranslated works. Ms. Abrahams saw the English-language publication of local folklore as a golden opportunity to create a library exhibit highlighting a well-loved local author. She had been looking for a way to draw attention to the Library, since the Anglesey Council is considering closing Rhosneigr Branch as part of a program of spending cuts. "We have huge support for our campaign to keep the library open," said Ms Abrahams. "Lots of people have volunteered to steward this exhibition which tells a story that's very special to people all over Anglesey." Tim Hale has created displays for the exhibition which tell the story of W.D. 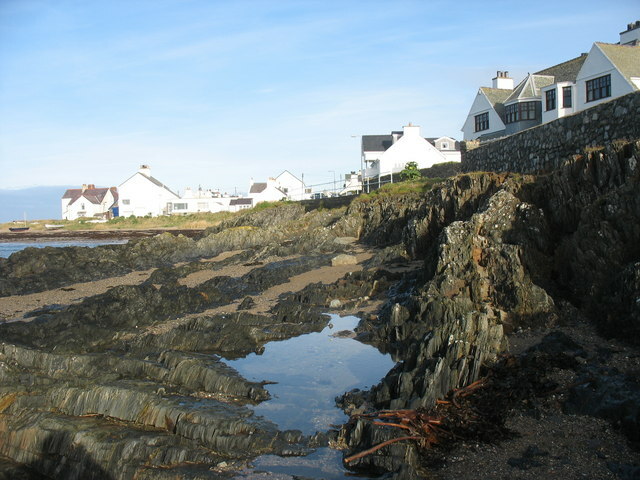 Owen, his family and business, as well as Madam Wen and the sites associated with her, and another section on Rhosneigr in the early 20th century. Perfect For Hiding Ill-Gotten Gains. The exhibit demonstrates how the Library can help to preserve local history and folklore. According to Ms. Abrahams, "Madam Wen is a character based on a historical figure. It's a very romantic story, [but] historian Maldwyn Thomas did the research into who she actually was and he found a lady called Margaret Williams who had married into a squire's family and was a Madam Wen-type figure. 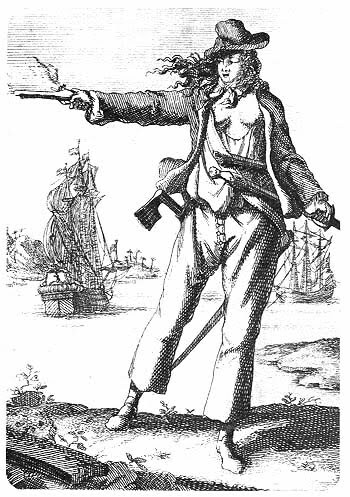 There's always been a story about this lady smuggler captain or lady pirate in the area who...[was] able to control the local ruffians, and had her hideout in Llanfairyneubwll." The Friends of Rhosneigr Library was formed when the threat of library closure was first raised. "People here were absolutely disgusted and horrified because it's a very busy library in lots of ways, not just for people borrowing books and kids doing their homework, but also as a community centre," said Ms. Abrahams. She hopes the exhibition will show the library's vital role in the village, and its potential for providing a treasure trove of benefits to the area's residents. Her wish is that pirate queen Madam Wen's final legacy will be to keep the riches found in books available on her beloved Isle of Anglesey. Very cool! Another site to add to the field trip!